From 2007-2012 I taught special education in NJ public schools, helping families with children with dyslexia, autism, cognitive impairments, and other developmental disabilities. Since moving to PA with my husband, I have worked as a reading interventionist, supporting children with their reading skills, both decoding and comprehension. I have also tutored several children, during after school hours, who are struggling with reading and writing using the Orton-Gillingham and Wilson Reading program. During the summer of 2013 I finished my Orton-Gillingham certification, which is IMSLEC accredited, through Fairleigh Dickinson University. This was a two-year program that focuses on teaching teachers HOW students read so that we can individualize programs like Wilson Reading. Now that I completed that post-graduate work, I have more time to help more students who are struggling with traditional methods and keep them moving successfully through the school year! I am certified in PA in special education PK-12, early childhood education, and elementary education. I have extensive experience with Orton-Gillingham, Wilson Fundations Reading Program, Words their Way, 4-Square writing, and guided reading practices. I also have experience with Everyday Math, and the multi-sensory TouchMath program. It is a passion of mine to make all children see themselves as readers, writers, and successful students. I believe that all children are great kids, and often they begin to lose this zest for learning when they cannot learn like everyone else through traditional methods. I love working with kids that need room to move, time away from a desk, and need their interests tapped into to really promote new learning! In May 2010, I completed my Master's degree in both special education and early childhood education, with a focus on assistive technologies. I completed the Fundamental Subjects Content Knowledge PRAXIS required by PA State law for elementary teachers, and received a perfect score of 200/200. I have taught grades 1-6 in NJ public schools, and have extensive experience in Everyday Math, Words Their Way, Wilson Reading Program, FOSS Science Program, and reader's and writer's workshop in the elementary classroom. I use multi-sensory techniques for teaching reading, writing, and math, and also use student interests to begin work in an area of difficulty. 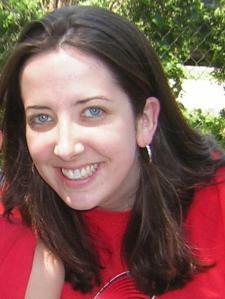 In May 2010, I completed my Master's degree in both special education and early childhood education. My training in Orton-Gillingham helps me teach students that are struggling with phonics in both their reading and writing. Using this program we will also work on phonemic and morphological awareness (paying attention to prefixes, roots, and suffixes). I have taught grades 1-6 in NJ public schools, and have extensive experience in Words Their Way, Wilson Reading Program, and reader's and writer's workshop in the elementary classroom. I use multi-sensory techniques for teaching reading, writing, and phonics, and also use student interests and games to begin work in an area of difficulty. I am certified in PA to teach Special Education grades PK-12. I also completed my certification in Orton-Gillingham, a program designed specifically for teaching children with dyslexia how to read, through Fairleigh Dickinson University. This program is also effective for children with ADD/ADHD as it uses multi-sensory techniques and uses short sessions of practicing different skills within the same lesson. In NJ public schools I worked with children with special needs from ages PK-12. I taught a 1st/2nd grade class and a 3rd/4th grade class of children with multiple disabilities including dyslexia, ADHD, ADD, autism, and developmental disabilities. I find that children with ADHD often struggle organizing information and often prefer to learn about something in a way that relates to them and their interests. For this reason, I like to use the 4-Square Writing Program for struggling writers. It allows them to easily organize their reading and writing, and the graphic organizer never changes, they just use it differently. This eliminates them having to "choose the right one". I use multi-sensory techniques for teaching reading and writing, and also use student interests to begin work in an area of difficulty. I have a lot of experience working with children who learn differently and have unique needs when it comes to academics. I completed my MEd in 2010 in Special Education. I am certified in PA to teach Special Education grades PK-12. In NJ public schools I worked with children with special needs from ages PK-12 for over 8 years. I started my career in a self-contained pre-school program for children with autism where I gained extensive experience with autism and ABA trials. From there, I taught 1st/2nd grade self-contained classes and 3rd/4th grade self-contained classes of children with multiple disabilities including autism, fetal alcohol syndrome, cognitive impairment, dyslexia, and other developmental and language disorders. I have tutored children with autism for reading comprehension, decoding, and math. I use hands-on manipulatives and multi-sensory techniques during instruction, as I realize the unique needs of children with autism. I feel comfortable following behavior intervention plans, using positive reinforcement, and creating task boards for task completion when necessary. I truly enjoy working with children with autism, and can individualize my sessions to meet specific needs. I am certified in PA to teach Special Education grades PK-12. I completed my certification in Orton-Gillingham, a program designed specifically for teaching children with dyslexia how to read, through Fairleigh Dickinson University. In NJ public schools I worked with children with special needs from ages PK-12. I taught a 1st/2nd grade class and a 3rd/4th grade class of children with multiple disabilities including dyslexia (usually in addition to another disability). When working with your child, I plan Orton-Gillingham lessons for every session, and we work on phonics, phonemic awareness, reading, spelling, and fluency. I like to use the 4-Square Writing Program for struggling writers. I use multi-sensory techniques for teaching reading and writing, and also use student interests to begin work in an area of difficulty. I am certified in PA to teach Special Education grades PK-12. In NJ public schools I worked with children with special needs from ages PK-12. I have extensive experience with autism and ABA trials in a pre-school setting. I taught a 1st/2nd grade class and a 3rd/4th grade class of children with multiple disabilities including dyslexia, autism, fetal alcohol syndrome, cognitive impairment, and developmental and language disorders. I have worked with high school students with CP, vision and hearing impairments, and am very familiar with assistive technologies for these students. I have tutored children with autism for reading comprehension and math, students with dyslexia for reading and writing, and young children needing behavioral interventions in the home. I also volunteer for a camp for children with cancer and oversee our camper and volunteer staff. I use multi-sensory techniques for teaching reading, writing, and math, and also use student interests to begin work in an area of difficulty. Kate is providing reading tutoring services for my 7 year old daughter. Kate did an assessment to find her reading weaknesses, and has geared her lessons to achieving the goals that my daughter needs to achieve. My daughter enjoys working with Kate. She is nice, caring, knowledgeable, and explains our daughter's progress each week. Our daughter looks forward to seeing Kate each week and learning new information. We are very happy with Kate's reading tutoring services. I highly recommend her as a tutor! Extremely organized and prepared tutor. Kate has helped my daughter build skills and confidence in her reading capabilities. She is kind and patient. Very pleased with results! Kate was a wonderful, patient and caring tutor. We really enjoyed working with her over the summer. Even though we could not continue once school started, due to her schedule, we would have been thrilled if we could have. I highly recommend her! Understands both girls' strengths and weaknesses. Kate understands how important it is to treat each student for their individual needs. Her strategy is to format lessons for the individual. This is very important to be a great tutor. I am looking forward to see how she continues to do this. The girls have already shown improvement and look forward to their lessons. The girls are making wonderful progress. They actually look forward to their lessons. I am so happy for them.